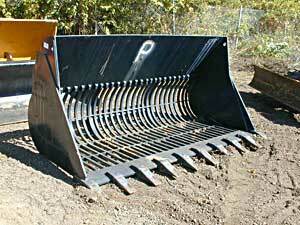 We here at Phoenix Equipment Sales give you the best quality in special purpose buckets. We have good quality equipment and quick service to you for all of your construction needs. 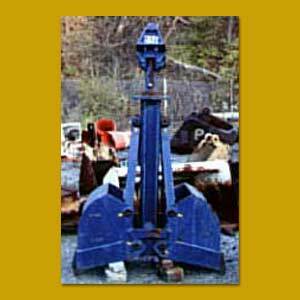 Phoenix Equipment is an authorized dealer of Rhino Equipment. We here at Phoenix Equipment understand that not only are the large construction apparatuses needed but so are the accessories that go with them. This should be your only one stop shop for all of your needs. When you visit us online you can visit the photo gallery and description of all of the special purpose buckets we have available to you at the click of a button. It is that easy. We here at Phoenix Equipment make the transaction very smooth and the cost affordable. When you visit us online, and you do not find what you need, or you have questions, please fill out the contact page information or the request for quote information and someone will get back to you as soon as possible. Leaving all the required information will let us know who you are and what you need. We will be able to fulfill all of your inquiries, no problem. At Phoenix Equipment, the one thing we want to do is to make the customer happy and do give them the best possible equipment necessary. We have the experience and the knowledge to know what you need and what is affordable for the work you are doing. We here at Phoenix Equipment want to give you the best service possible and the best quality needed. Please visit us online at www.phoenixequipmentsales.com or call us toll free at 866.282.5381. We will be happy to help you with any questions, or requests you may have. Below are some of our current stock of gradall buckets. Check back often for updates.